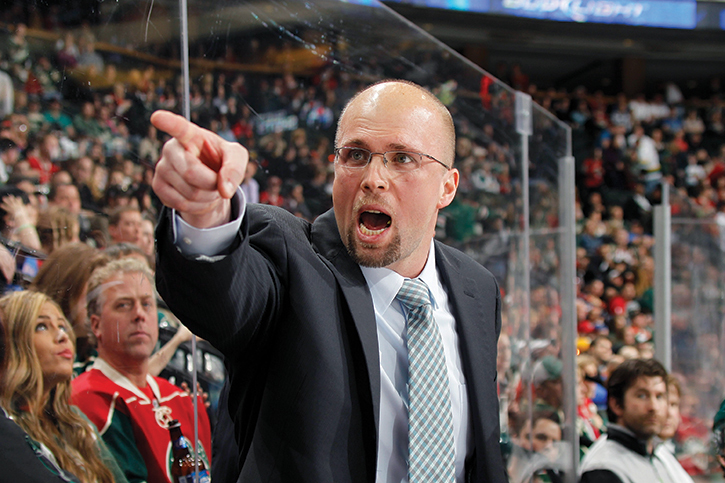 Minnesota Wild Head Coach Mike Yeo has been in plenty of big games. While serving as an assistant for Pittsburgh, he helped lead the Penguins to two Stanley Cup Final appearances, including a 2009 championship season. Since joining the Wild organization in 2010, Yeo has led the AHL team to a Calder Cup Final and the Wild back to the Stanley Cup Playoffs. With a son and daughter of his own, Yeo knows that big games often take on extra meaning whether they are being played by young kids or NHL veterans. He took the time to share his keys to winning those games with our youth teams as they prepare for Minnesota Hockey District, Region and State Tournaments. If you want to win the championship game, it doesn’t start when the puck is dropped that game. It begins right at the start of the year. Every practice, every game you play during the season is building up to that moment. The players and teams that put the time in throughout the season will have a feeling when that puck is dropped, that you’re ready for that moment. The bigger the game, the more emotion there is in it. You have to make sure you are able to channel that emotion the right way. You want to win the championship. You want to win the big game. You want to score the goal. What do you have to do in order to make that happen? It’s all about focusing on all of the little things that add up to make that happen. That’s what you have to stay focused on. That’s the biggest thing with a lot of the great competitors—they’re able to maintain their focus and play their game during the most important moments. The bigger the game, the more intense things are. The more pressure you feel—that is when your habits come out. With the Wild, we always stress the importance of practice. Day in and day out in practice, concentrate on building the right habits. That way you know when the pressure is on, when you don’t have the time to think, and your habits come out, they will be habits that enable you to have success. You have to understand that it’s a full game. If things go well, you have to be careful that you don’t get too excited and start to lose track of the things you need to do—and vice versa, if things don’t go the right way from the start. The important thing is to make sure you have that ‘next shift’ mentality. It doesn’t matter if your most recent shift is a good shift or a bad shift. When you come back to the bench, you think about what you have to do to get ready for the next one. For coaches, many of the same concepts apply. You have to make sure you channel your emotions and stay focused. When your team looks at you, they should just radiate confidence. They should see somebody who believes in what the outcome will be and is consistently helping keep the players focused on what they need to do for that moment.